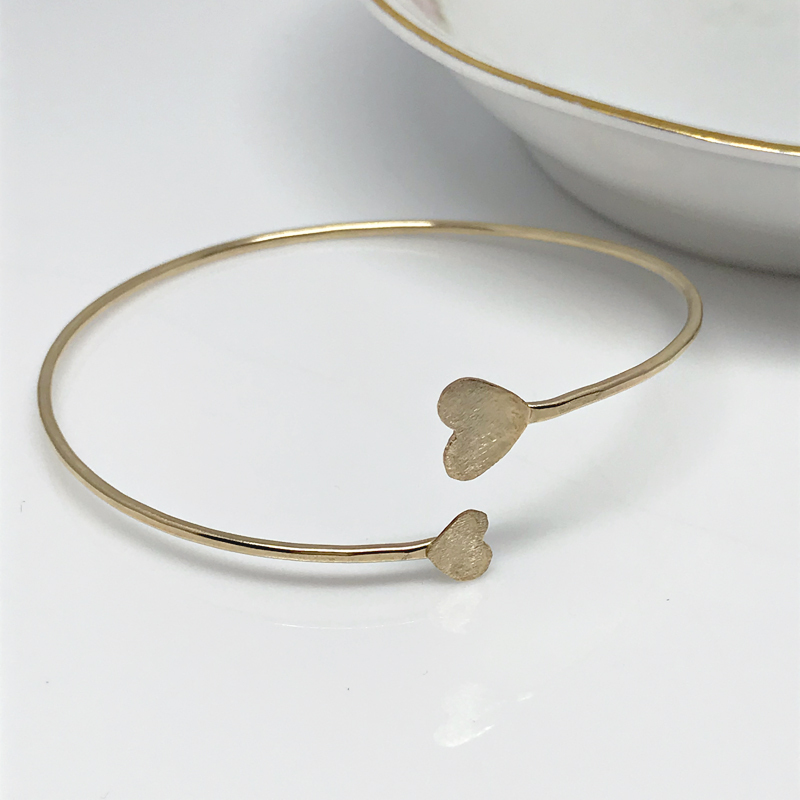 Pretty and petite gold filled hearts sit at each end of an open bangle bracelet. 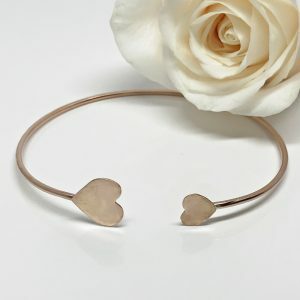 Two petite hearts on an open bangle design...so simple, so feminine, so lovely. 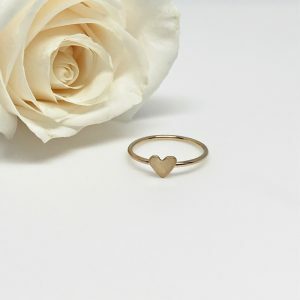 Dainty gold hearts sit at each end of a delicate gold bangle. Gold double heart bangle bracelet. 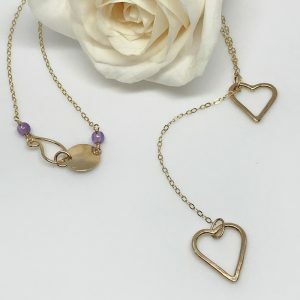 Two petite hearts sit one at each end of a delicate bangle style bracelet. The bangle is an open design which makes it somewhat adjustable. This particular bracelet is hand cut and formed from gold filled metal. The hearts are also gold filled. While the hearts have a brushed finish the bracelet itself is polished to a high sheen. Whether you want to go simple or dramatic, this bangle will suit all your style needs. Not only can this bangle be worn on it’s own, it can also be stacked with others. 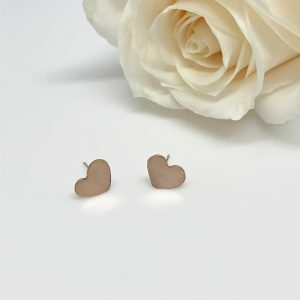 Moreover, it looks great when paired with the coordinating heart earrings or necklaces.